BERLIN/MUNICH—German Chancellor Angela Merkel’s conservative Bavarian allies agreed to give her a two-week breathing space on Monday, June 18, to find a European solution to a row over immigration that threatens to scupper her three-month-old coalition government. Bavaria’s Christian Social Union (CSU) wants a ban on admitting migrants into Germany who have already registered in another EU country. Merkel opposes such a ban. 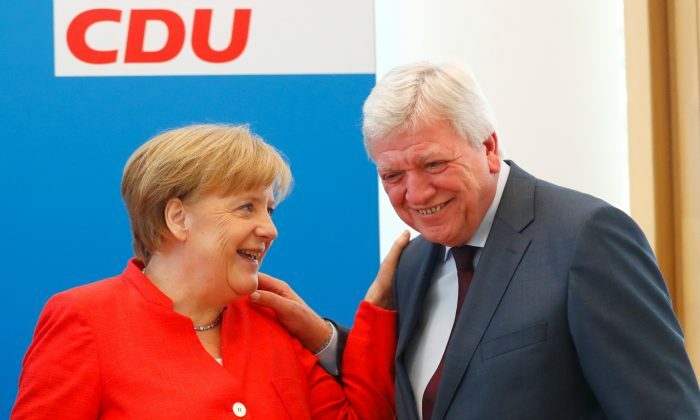 Merkel opposes any unilateral move by German Interior Minister Horst Seehofer, who is also CSU chairman, that would reverse her 2015 open-door policy on migrants and undermine her authority. Monday’s compromise means he can introduce immediate expulsion for one subset of migrants. “This is not about winning time or anything like that but rather that in July, if there is no result at European level, we must implement this—that is a question for the functioning of our constitutional state,” he added.